Let Down by the Sea take you on an imaginary summer vacation. 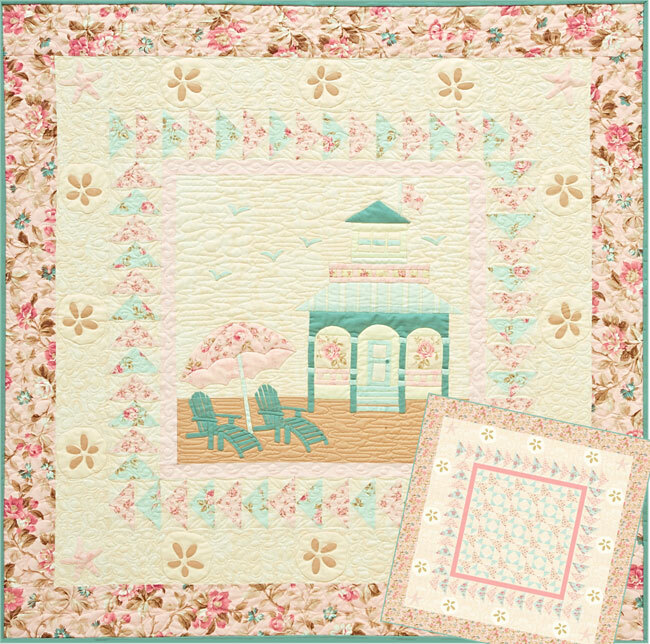 Enjoy the warm sand and gentle breezes as you create your very own beach house. Lounge chairs provide a comfy spot to appreciate the birds, starfish and sand dollars. Just add sun block and a juicy novel! Instructions for three different quilts are included.